New 12 Bin (+ 8 for Storage) Ice Cream Dipping Cabinet by PURE Manufacturing of Phoenix Arizona, In Stock NOW! 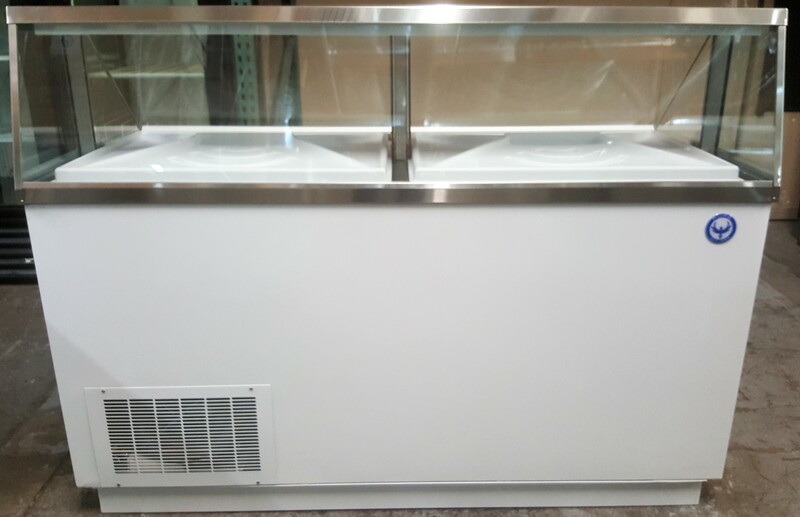 Creating a mouthwatering presentation and quick serving quality ice cream has never been easier than with the PURE 68″ ice cream freezer dipping cabinet! 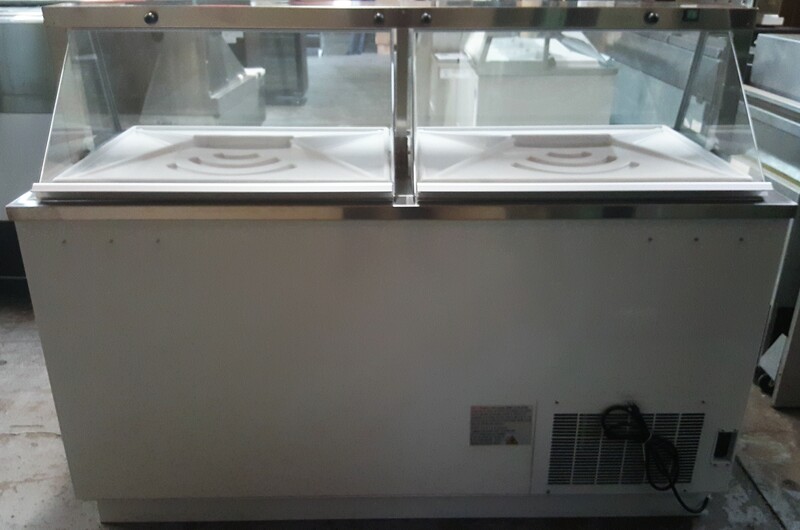 The attractive and durable white finish and LED lighting create an eye-catching focal point for your ice cream shop. 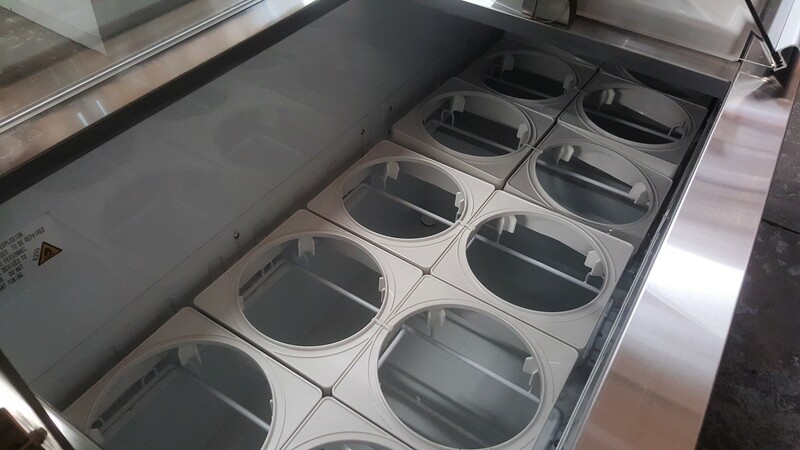 This large capacity ice cream dipping cabinet can hold twelve (20) 3-gallon cans of ice cream. That’s 12 3-gallon cans on display with 8 below in storage. 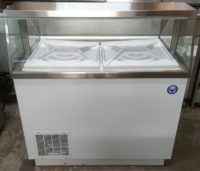 Be the first to review “DPC66-HC 68″ 12 Bin Ice Cream Dipping Cabinet” Click here to cancel reply.